If you love diving, snorkeling and doing nothing: Redang island is only flight away from paradise. Pulau Redang is an archipelago in the South China Sea, on the east side of the Peninsula Malaysia . Redang is a protected marine area, or as they say here in Malaysia: a marine park. It's situated about 45 km from the coast of the state of Kuala Terengganu. Being an archipelago, it is surrounded by many small islands, surrounded by crystal clear water offering several great snorkel and diving opportunities. Redang is a bit touristy offering some quite luxurious resorts and spa's. When and how to get to Redang? The best time to visit Redang is between April and October. The northwest monsoons blow from November to March, most resorts (except the Berjaya Redang Resort) will be closed during this period. Due to the monsoon, the underwater world is far less clear to enjoy but if you want peace and quietness and a true relaxing holiday where you can come to your senses and rhythm of life dictated by the sun, winds and rains, the monsoon season is your best bet. From Kuala Lumpur you used to be able to take the plane to either Kuala Terengganu, or Kota Bharu (for cheap tickets fly Air Asia or Firefly). Then take a drive to the fishing village of Merang where a boat brings you to any of the islands off coast. However all this cumbersome traveling has recently been made extremely easy thanks to a direct flight straight to Redang island. Redang is well known as an excellent diving area. Each resort obviously offers diving packages which you could hop and shop around for. 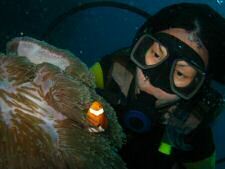 I learned how to dive in the Berjaya Redang Resort and received my PADI there. Also snorkeling is out and about around Redang. Maybe you wont see any turtles, but it is not all to difficult handfeeding the fishes. You can easily rent the equipment from your resort (some even give it complimentary, just try your friendliest smile and discover how far it will bring you on the Malaysian islands...). Some resorts have their own housereef, other resorts will take you out in a boat, do ask in advance when booking, as nothing beats coming out in snorkel gear out of your villa and walking towards a coral abundant sea. 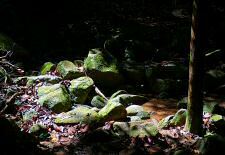 Redang is also an ideal place to go hiking as the rain forest is just nearby. Simply ask a map with the walking paths in your hotel, take lots of water, a hat or cap, lots of sunlotion if you aren't covered inside the rain forest, and mosquito spray and you are ready to go. If you only feel like strolling around on the beaches, make sure you are fully protected against the hot sun, otherwise you will understand hands on why in each resort shop the green Banana Boat bottles with Aloe Vera creams are sold: they are ideal to soothe your skin after a sunburn. But better wear appropriated beachwear and use sun protective lotion with the highest SPF (try to find spf 80). 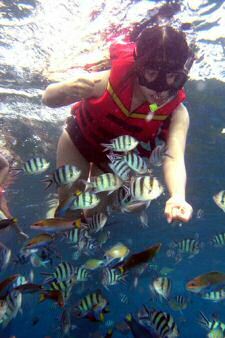 Compared to nearby diving paradise Perhentian offers more luxury resorts and spas, where Perhentian is more for backpackers and cheap travel. Personally I prefer Perhentian for snorkeling and Redang for getting pampered in the high end resorts.